Take care of the pain of an ingrown toenail with the help of my services. Based in Sidcup, Bexley, I provide ingrown toenail treatment and removal services to ease your struggle. An ingrown toe is incredibly painful and could lead to a variety of further conditions. Don’t let it get any worse. Choose Happyfeetforyou for an effective solution. An ingrown toenail, also known as onychocryptosis, is a painful condition of the toe. It occurs when a sharp corner or edge of the toenail digs into the skin at the end or side of the toe. Pain and inflammation at the spot where the nail curls into the skin is the first sign of this condition. You should receive treatment as soon as you can from an experienced podiatrist. That’s where I come in. 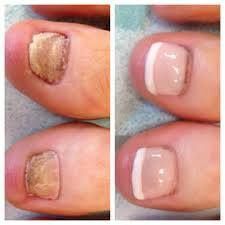 I undertake nail surgery when medication or other forms of treatment are not enough to cure toenail ailments. To retain a normal toenail appearance, only the infected and painful parts of the toe are removed. However, there are some cases where the entire nail must be removed. The procedure is agreed between the podiatrist and the patient before any surgery or treatment is carried out. Contact me, in Sidcup, Bexley, to obtain more information on my ingrown toenail treatment and removal services.